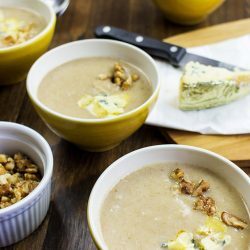 Pear soup with blue cheese is undoubtedly a niche recipe. If you don’t like blue cheese, then you probably won’t enjoy this recipe. 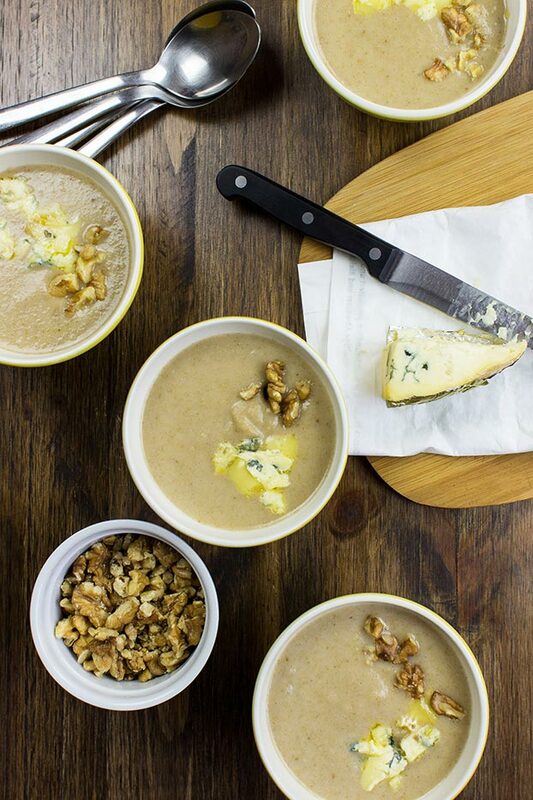 If you do like blue cheese then there’s a good chance this pear soup will blow you away. 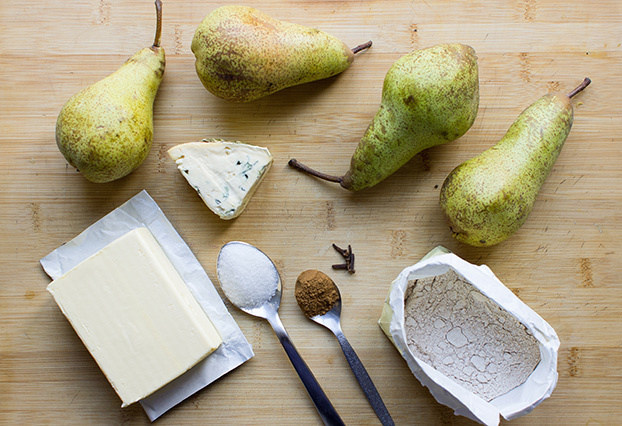 Pear and blue cheese has long been known as one of the ultimate flavour combinations, and it’s easy to see why. It’s sweet and salty, gentle yet acidic at the same time. I was sceptical at first, but now I’m convinced. We highly recommend this book, the Vegetarian Flavour Bible, for anyone looking to increase their cooking knowledge. Anytime you need inspiration for leftover ingredients, check it out and you’ll find some incredible pairings. Pear Soup – what’s not to love? 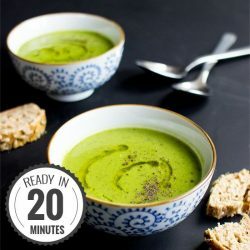 This pear soup recipe was created by Hauke’s brother (and professional chef, Heiko), and it’s really easy. From pot to bowl in fifteen minutes, it’s the perfect appetizer for any meal – and guaranteed to get the taste buds moving. We found from our taste-testing that there was one thing missing from the original recipe – something with a little crunch. 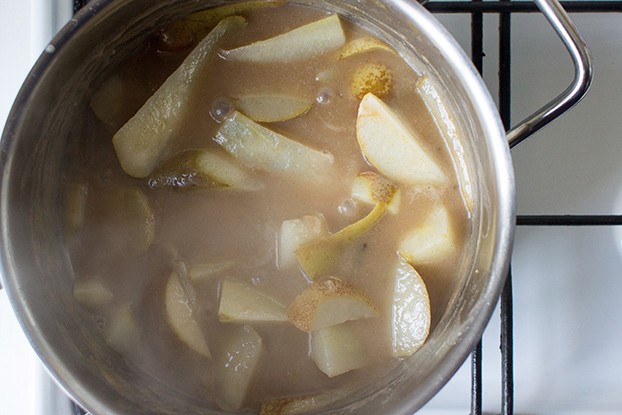 As the pears in the soup are cooked and then quickly blended, they’re beautiful and soft – but need a partner. That comes in the form of walnuts. Crumble some on top and you’ve got yet another amazing pairing going on. It’s all happening here. There is one thing all vegetarians (and anyone else who finds it relevant) should be aware of when cooking with cheese – many cheeses are made with rennet, juice from a calf’s stomach. Fortunately, this horrible practice is slowly on the decline and a growing number of cheeses can be found made with microbial rennet. Ask at a good cheese counter and the staff should be more than able to help you pick the right cheese. Your pear soup will appreciate it too. 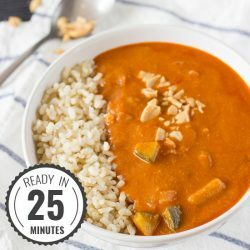 If you’re vegetarian, and the subject of rennet surprises you, then make sure you check out the 30 Day Veggie Challenge. It’s full of inspiration and information on how to make being vegetarian as easy and exciting as it should be. 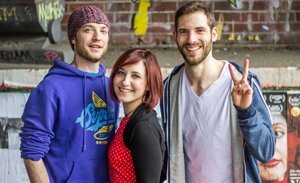 If you’re not vegetarian but have been sitting on the fence, then we’ll say it’s the best way possible to get started. We don’t mess around. This pear soup recipe is really easy. 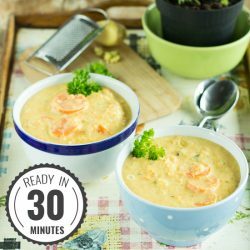 From pot to bowl in fifteen minutes, it’s the perfect appetizer for any meal - and guaranteed to get the taste buds moving. Melt the butter in a pot and mix in the flour, stirring continuously until you have a smooth mixture. Add the water, cloves, cinnamon and sugar. Add the pear pieces and heat through until bubbling. Let it simmer for another five minutes. Blend (we recommend a hand blender like this). 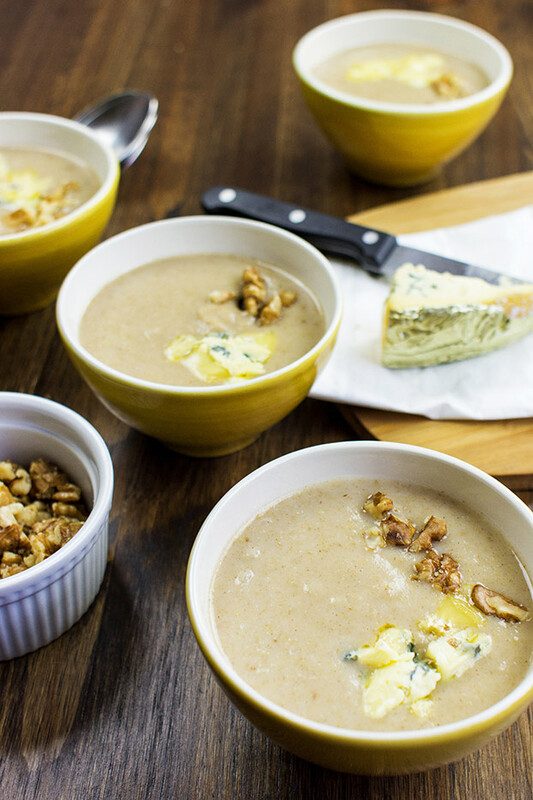 Crumble the blue cheese and walnuts and garnish the soup with them. That’s it, your pear soup is ready! i’m one of those people who hate blue cheese. how about substituting goat cheese?